Promoted by C D I C.
Defence Ipswich 2018 will focus on sustainment, integrated logistics, exports, innovative technologies, research and partnerships. The one-day event, hosted by Ipswich City Council and the Australia Industry and Defence Network (AIDN), will be held at the University of Southern Queensland’s Springfield Central Campus on Tuesday 20 November. The line-up of speakers includes newly appointed Assistant Minister for Defence David Fawcett, a former Lieutenant Colonel in the Australian Defence Force before entering politics; former Minister for Defence David Johnston, recently appointed as Australia’s first Defence Export Advocate; the Federal Government’s head of Science Strategy and Program Division within the Australian Department of Defence Dr Todd Mansell; First Assistant Secretary, Defence Industry Policy Division Dr Sheridan Kearnan; and Dr Karen Stanton, the Managing Director of Heat Treatment Australia as well as a Board Member of the Centre of Defence Industry Capability (CDIC). Senator Fawcett, who has served in the House of Representatives and the Australian Senate in Canberra, became the Assistant Minister for Defence with the instalment of the Morrison Government in late August. He brings a wealth of experience to the role, having served in the Australian Army from 1982 to 2004 before entering Federal Parliament. He was educated at Royal Military College, Duntroon, and became a helicopter pilot for the 1st Aviation Regiment, involved in operations in Australia and Papua New Guinea. Senator Fawcett has been an experimental test pilot serving with the Royal Australian Air Force, culminating in his final appointment as Commanding Officer, responsible for flight test programs across the Australian Defence Force. He reached the rank of Lieutenant Colonel before leaving the ADF to enter politics. Before being elevated to the ministry, he was Chair of the Joint Standing Committee on Foreign Affairs, Defence and Trade. “Across Australia, businesses are responding with enthusiasm to the opportunities provided by the Australian Government’s more than $200 billion investment in defence capability,” he said. “The inaugural Defence Ipswich summit is a great example of this and I am sure the summit will provide an opportunity for the region to build on Ipswich’s already strong contribution to Defence capabilities, including to operations at RAAF Base Amberley. 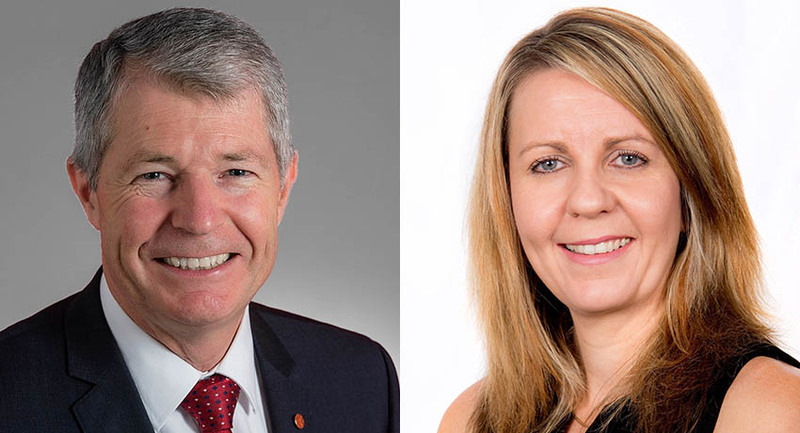 “Senator Fawcett will provide a valuable insight into the Defence visions of the Coalition Government and exactly how Ipswich businesses can tap into the Defence industry in order to grow investment and jobs in our region. We look forward to having him in Ipswich in November,” said ICC’s Chief Operating Officer for Economic Development and Marketing Ben Pole. Dr Stanton, who will be speaking in the Defence and Industry Collaboration and Cooperation session at the Defence Ipswich 2018 summit, said this is the beginning of a transformation era for the Australian Defence industry and small to medium businesses have a unique opportunity. “The current climate is fostering an enduring partnership between Defence and industry,” she said. Dr Stanton will draw on her experience in transitioning companies from traditional manufacturing towards advanced manufacturing and other industry experience.